Blum Ranch in Aliso Canyon, Acton, June 1924. 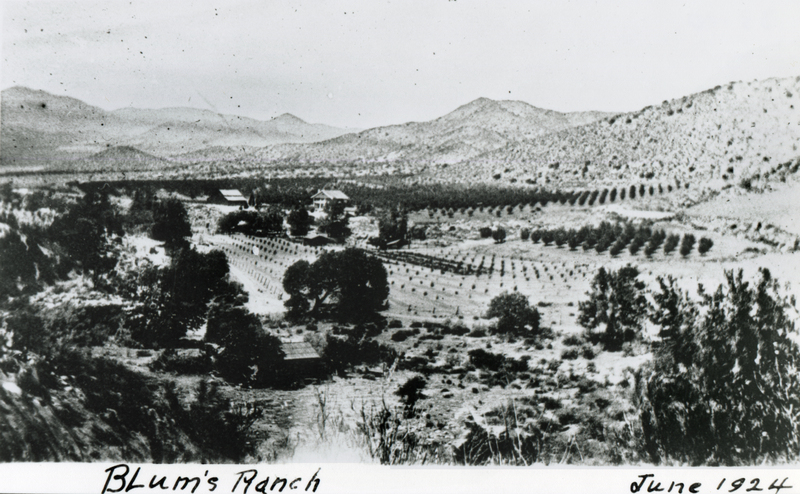 The ranch was established in 1891 by George Blum, a Swiss stonecutter who homesteaded the property and set out 1,200 pear and apple trees in 1910-11 after he was able to pipe in water from Aliso and Gleason canyons. Read: The Blum Ranch Story, 1891-1991. AP3310: 19200 dpi jpeg from copy print.